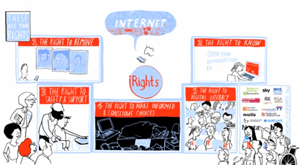 The iRights initiative aims to encourage all companies and organisations with a digital footprint to enshrine a universal standard of rights into their digital services and communications to help protect and inform young people online. iRights has today published a report which found that, although children and young people are often presented as ‘digital natives’, in reality they lack the skills and knowledge necessary to navigate the risks of the internet or to benefit from its many opportunities. The report has led to a series of other announcements today. The Children’s Commissioner for England, Anne Longfield, has announced that she is launching a task force, Growing Up Digital, dedicated to improving the online lives of young people through the iRights framework. This task force will build on iRights and work undertaken by Schillings, an international multidisciplinary reputation and privacy consultancy, which published its own analysis of iRights today, iRights: The Legal Framework. The Schillings report shows that existing legislation strongly supports the five iRights principles and that the UK can set a worldwide precedent in terms of protecting children and young people online. Major companies have already pledged their support for iRights and plan to launch their own initiatives to further its cause. They include Sky, Barclays, the BBFC, the Southbank Centre and Freeformers, which provides digital skills training to young people for free. Earlier this month, Scottish First Minister Nicola Sturgeon signed the framework and launched a Commission to establish how to make Scotland iRights-compatible. iRights now has nearly 200 signatories from across government, business, technology and children’s and civil society groups. The iRights coalition is currently hosted by leading children’s charity the National Children’s Bureau. The full iRights report and framework can be found at www.irights.uk.